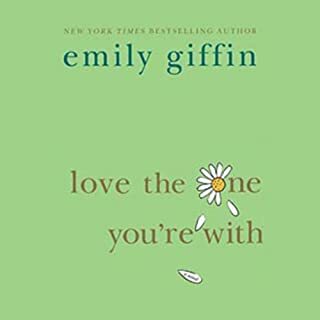 From the New York Times best-selling author of Something Borrowed comes a novel that shows how someone with a "perfect life" can lose it all—and then find everything. Darcy Rhone thought she had it all figured out: the more beautiful the girl, the more charmed her life. Never mind substance. Never mind playing by the rules. Never mind karma. 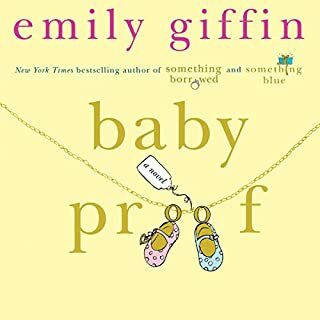 But Darcy’s neat, perfect world turns upside down when her best friend, Rachel, the plain-Jane “good girl”, steals her fiancé, while Darcy finds herself completely alone for the first time in her life…with a baby on the way. Something Blue is a novel about one woman’s surprising discoveries about the true meaning of friendship, love, and happily-ever-after. It’s a novel for anyone who has ever, even secretly, wondered if the last thing you want is really the one thing you need. So I've read the book before, loved it, and decided to give the audible a try since its been years. Since the others have all written about how great the book is already, I'll skip that part and just write about the narrator, and this book as an "audible", even though I do subscibe to that same opinion as well. Christine Marshall really makes the book come alive. Pleasant to listen to, her voice has perfect intonation without being annoying, she really makes the characters come alive and relatable and real. The "something borrowed" audible had (I think?) an older woman narrating which did not match the character at all, and Darcy's voice in that was shrill and annoying. In this, its just right. I love it when a sequel outshines the original! As much as I love "Something Borrowed", "Something Blue" is hands down my favorite of the two. The writing here is just as good but Darcy as a narrator is more interesting than Rachel. And her observations are wittier and snarkier which makes it a lot more fun. The ending is definitely predictable but Darcy's journey to her happily ever after is hard fought and well deserved and I loved watching her get there. I was a little concerned when I saw that the narrator had changed because I really enjoyed Jennifer Wiltsie's Darcy but Christine Marshall did a great job. 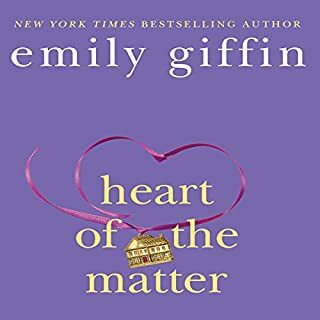 Emily Griffin is such a good author and she truly shows her understanding of differing personalities. I got through the first half of the book with a great dislike for Darcy, being so superficial and self absorbed, but as the book goes on you cant help but route for her. There were moments where I caught weird looks in public, as i realized i was laughing out loud. Thankfully, I was at home when the book evoked moments of tears. I couldn't put the book down, so to speak. and as much as i was uplifted by the ending, i didnt want it the end to come. I found this very hard to listen to. The entire first five hours is extremely annoying. This character is very unlikable. I only kept listening because I couldn't believe that it wouldn't get better. my first regret as a purchase. 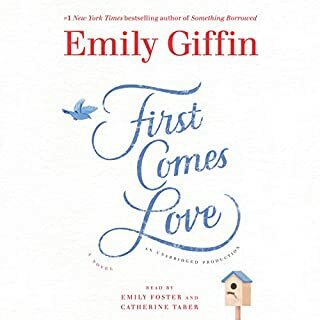 If you are like me, you are thinking of this book because you loved "Something Borrowed" and want to see what happens to the characters. Know that this book delivers. You have to wade through more than half of it before you get to anything remotely good (the first have is a rehashing of the first book from Darcy's perspective), but the second half is more than worth it. You get to see Darcy slowly transform from a whiny, annoying, one-note character into one that you eventually like. You fall in love with Ethan. And you get to explore London! You also get a resolution to a lot of the storylines left unfinished from the first book. I was happy to see an ending for Dex and Rachel as well. If you enjoyed the first one, this one is worth it, just stick through the first half, trust me. 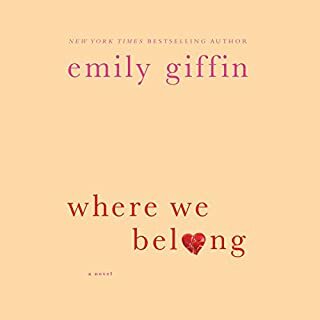 I will admit that I wasn't "too thrilled" to read a story about a self-centerd "drama queen" who has lived a (so-called) charmed life - but I loved the other 2 novels I read by emily giffin - and I was "intrigued" by he whole Darcy character (even though I related much more to the Rachel character in "something borrowed"). But... as I started listening - I got caught up in the story so quickly - that I couldn't stop! The first half of the book was a bit "much"" (having to listen to Darcy's "wines "and "wants" ) but when she got to London - and started hanging with "Ethan" was worth the wait. As I continued to listen - I felt as though I knew these characters personally - as I laughed and cryed throughout the second half of the story. I really reccomend this book - especially for those who think that people "can't change" - bercause after reading/listening to this story - you will see that everyone has a "good side" and can "change" if they really want to. struggled with the narrator's voice. At times the whine made me shut it off. really enjoyed Something Borrowed and was looking forward to this book very disappointed. And she turns a new leaf, becomes selfless towards the end....RIGHT. Though I could stop rolling my eyes every time the main character opened her mouth, I couldn't stop listening either. I uttered OMG often. This book is not for people with 0 tolerance but I found it heartwarming. Something Blue was a very entertaining . I could easily seeing this being a movie. Darcy's self loving, self serving, selfish character, egotistical nature although not commendable is what made this book so interesting. The story line was great and believable.. I think we may have known a Darcy at one time or another. Sometimes you just need some light reading to relax. 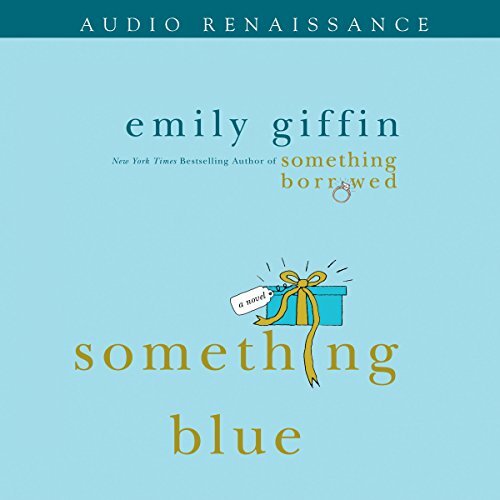 Emily Giffin and her Something Borrowed and Something Blue are classics and books that I enjoy reading every couple of years. 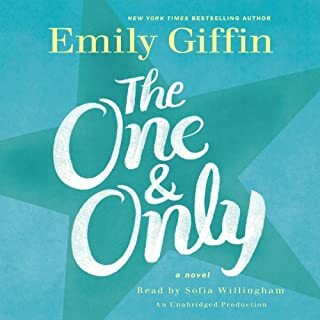 The recorded audiobook was very enjoyable and it was incredibly similar to Kate Hudson’s, who portrayed Darcy in the Something Borrowed film. Ultimately this is a book about friendship and personal growth and one of my all time favourites. Loved the first novel and this as a sequel was good too. The only qualm I have is the mixed feelings about the timing of the love match and how believable it was. There were some ironic twists which on its own we're cute but in the scheme of the prequel, lost its punch. It was read well and the performance was on par with Darcy. If you liked Something Borrowed, this is a nice sequel to answer your 'what happens next' questions.